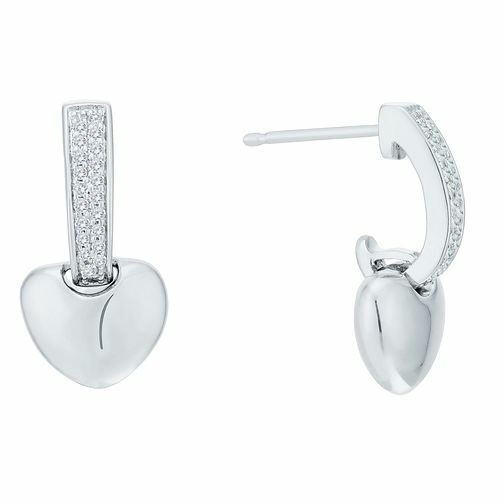 Crafted in sleek 9ct white gold, these eye catching Everlasting Heart drop earrings are set with diamonds totalling 0.12ct for a dazzling finish. Beautifully versatile, these elegant accessories are perfect for adding a dash of sparkle to any occasion. The ideal gift for someone special or a charming treat for you.